At The Unicorn School every child receives one-to-one tuition. Pupils in year 1 to year 8 are given one-to-one tuition every day. From year 9 there is greater emphasis on GCSE preparation, older pupils are therefore given a mix of one-to-one tuition and of focussed study sessions in pairs or in small groups. One-to-one tuition provides pupils with a daily intensive 30-minute lesson with their own personal specialist teacher. Tuition is tailored to each pupil’s individual needs and may focus on improving reading skills, spelling skills, numeracy skills or study skills. Our multi-sensory one-to-one teaching practices help unlock pupils’ learning potential by accessing their preferred learning style. By finding the way that each individual learns best we can use the pupil’s strong learning channels to support the weaker ones: Kinaesthetic techniques use the sense of touch as a learning channel, for example learning spellings by writing in sand or in shaving foam. Mnemonics can help memory recall by using auditory phrases or visual images to make information more memorable. Colour can be used as a visual aid to help break down words into “phonemes” or individual sounds. Multi-sensory hands-on teaching encourages pupils to use all of their senses to learn, and makes learning fun along the way. Our pupils love their one-to-one lessons and really appreciate the progress they make. 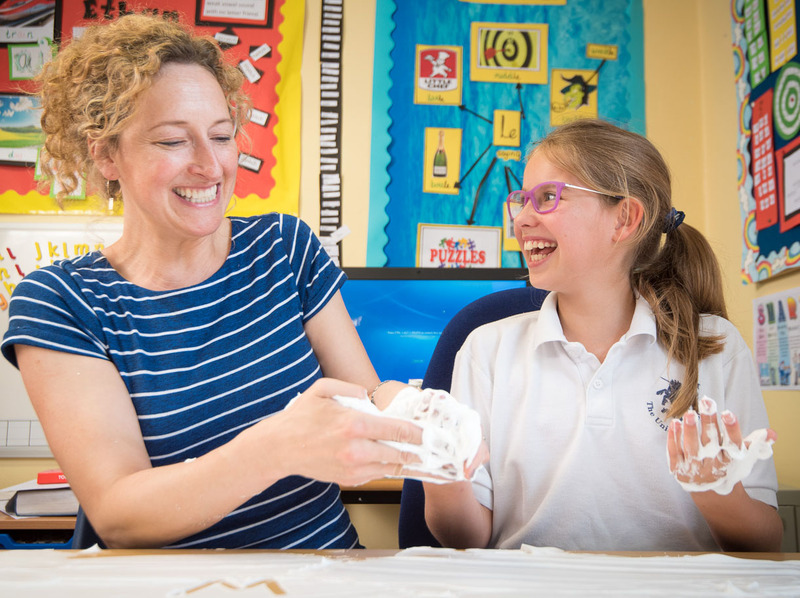 One-to-one teachers, class teachers, Occupational Therapists and Speech and Language Therapists work closely together to build an integrated, nurturing support network for each individual pupil; helping to bridge the gap between the pupil’s current performance and their potential achievement.